One really fun aspect of the Halloween season is booing your neighbors. Opening your front door to find a special package or basket of treats in October is such a lovely surprise. It gives a real community feeling to a whole neighborhood doesn't it. If you enjoy taking part in this great Fall game, come right in and grab your free printable You've Been Booed poem sign here on this page. This free printable design comes complete with some short instructions so you know exactly what to do. Grab hold of the matching We've Been Booed sign to print out and stick in your front window or on your door this Fall season. This one is totally free and you don't have to sign up to get it. 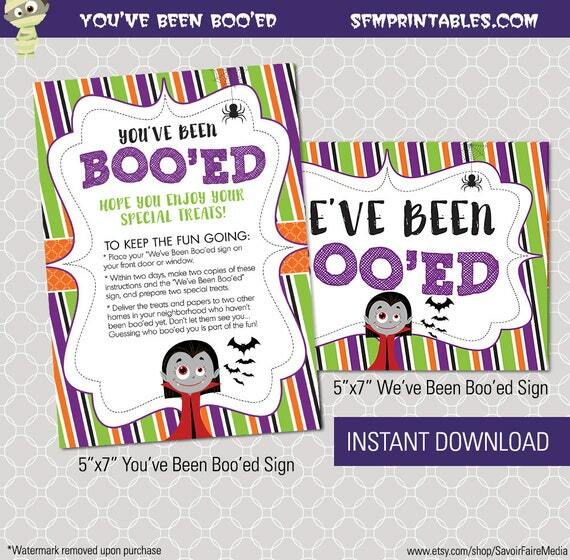 Enjoy these free printable "You've Been Booed" signs that you can print off and use yourself this Halloween. Along with the free Booed poem are instructions so you know what to do. 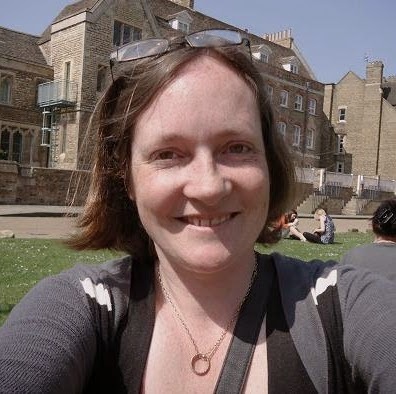 Print out 2 copies of the You've Been Booed poem printable. 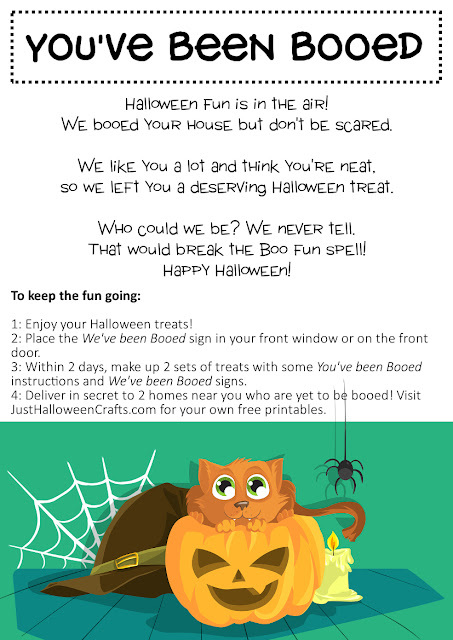 Use the free You've Been Booed template which is below on this page which includes a poem and booed Halloween letter. 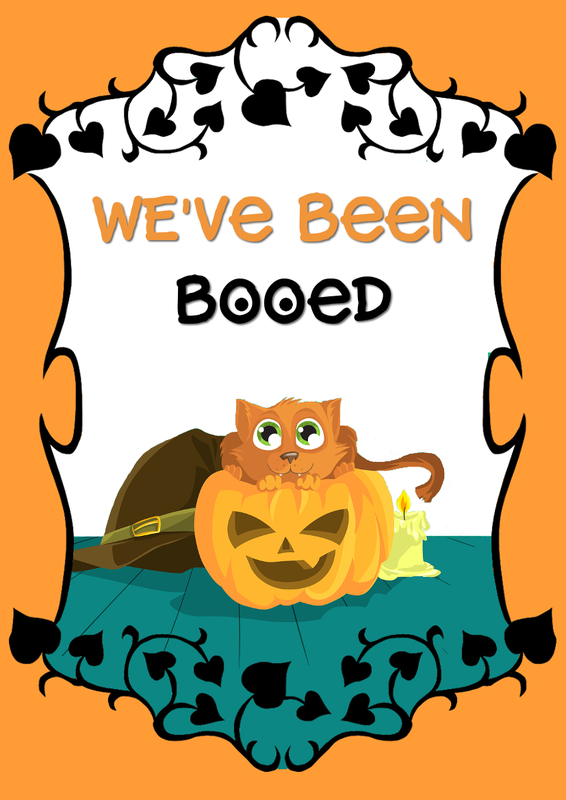 Print out 2 copies of the We've Been Booed sign below on this page. Make up 2 Halloween treat baskets or gifts. 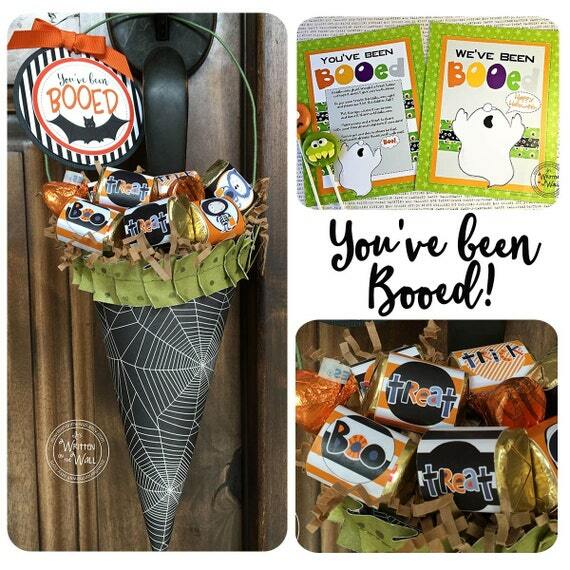 Include a We've Been Booed printout inside each basket with the treats. Stick the You've Been Booed sign on the front of each set or place it so it is very visible on each package. Deliver the treat baskets in secret to two different homes in your neighborhood. Choose two homes that have not been booed yet to give them a nice surprise. 🎃 Come and Learn Even More About Being Booed Here. This You've Been Booed design comes complete with a short poem and some quick instructions on how to keep the game going so your neighbor knows what to do next. It contains a cute Halloween image of a cat , pumpkin, witch's hat and spooky spider. 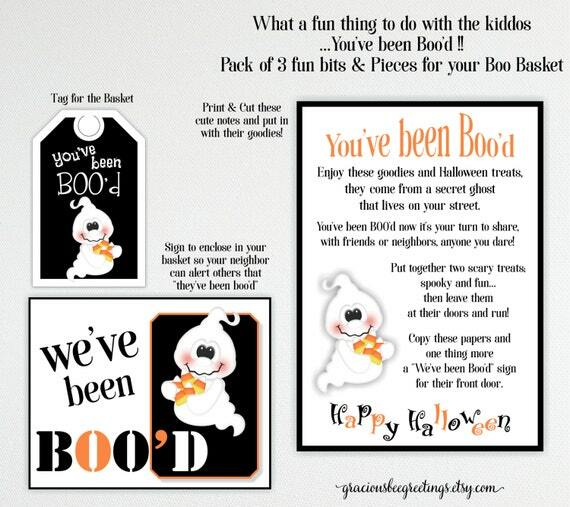 This free You've Been Booed printable is for your personal use only. You are welcome to blog about how you've used this freebie along with your own photos providing that you include a link back to this page. This We've Been Booed design gets placed up in the neighbors home once they've received their Halloween treats. Don't forget to provide them with a copy. 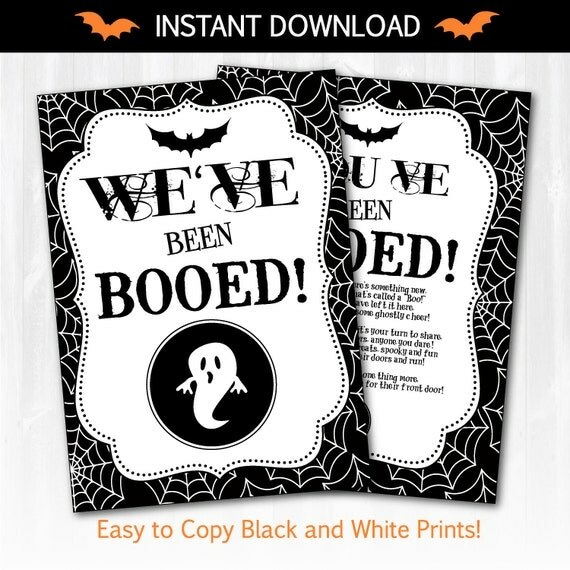 This free We've Been Booed printable is for your personal use only. You are welcome to blog about how you've used this freebie along with your own photos providing that you include a link back to this page. 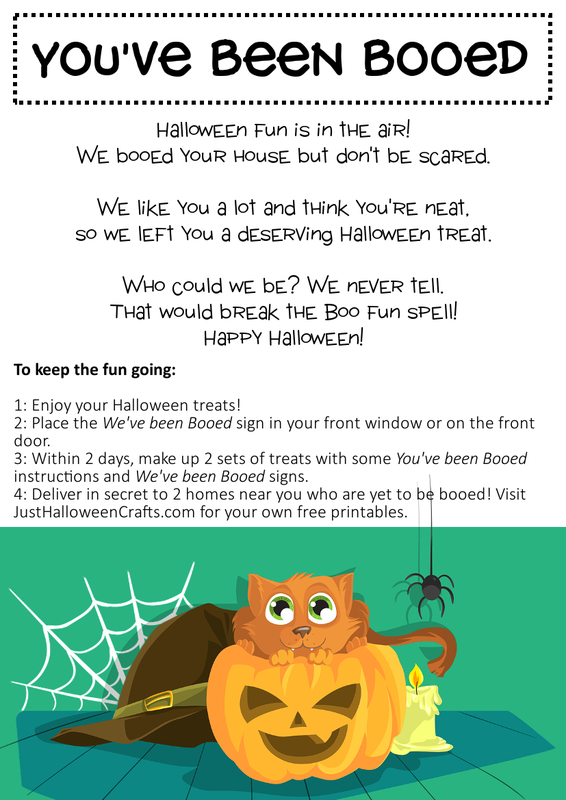 I hope you enjoyed these free Halloween booed printables. Stop by for more free stuff to print and crafts to enjoy this Fall season.